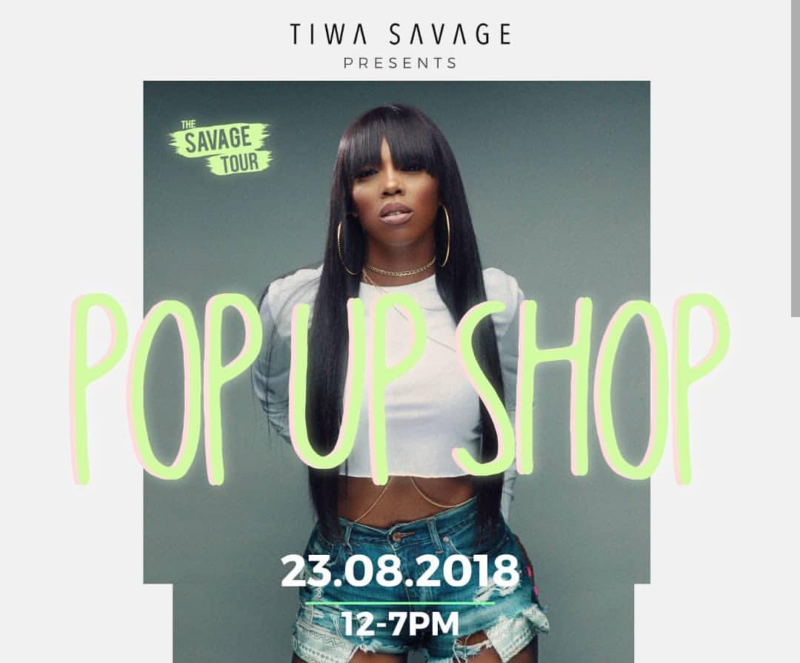 Tiwa Savage Announces Pop Up Shop Ahead Of Her London Concert – Nigerian pop diva Tiwa Savage is bringing a pop up shop to her London fans. The ‘Lova Lova’ crooner is gearing up for her first headline show in London at Indigo O2 Arena. Just before the concert day, the Mavin Records first lady would be opening a pop up shop for fans to buy tour merch and other customized fashion accessories. The official date for the opening of the pop up shop as well as the venue has been announced by the singer. She gave out the details via her social media accounts.